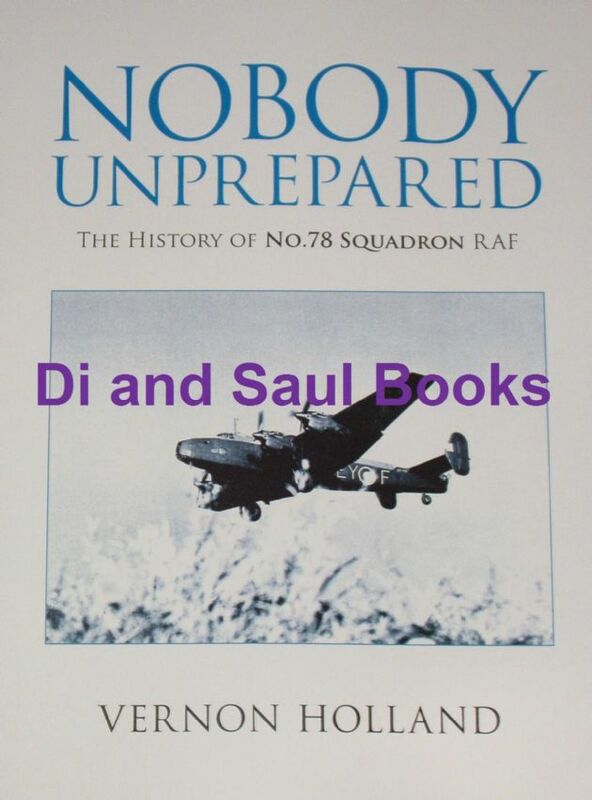 From the rear side cover: This book tells the story of No.78 Squadron RAF, a bomber squadron which became operational in July 1940 and remained so until the end of the Second World War. The squadron originally flew twin-engined Whitley aircraft, later converting to the 4-engined Halifax. They belonged to 4 Group, RAF Bomber Command and were based at Dishforth, Middleton-St-George, Croft, Linton-on-Ouse and Breighton at various times. No.78 Squadron flew the most sorties in 4 Group (6,337), suffered the highest percentage losses of any Halifax squadron (245 aircraft lost) and the third highest losses in Bomber Command as a whole. They are also believed to have dropped the greatest tonnage of bombs in 4 Group – approximately 17,000 tons. Until D-Day, 6th June 1944, the aircraft of Bomber Command were the only means available to the Allies to mount attacks on the German Fatherland - a job they carried out with dogged determination and outstanding bravery, as night after night, the aircrews risked their lives over enemy-occupied Europe, supported by a small army of hard-working personnel on the ground, whose job it was to keep the aircraft flying. The full story of the wartime operations of No.78 Squadron is recorded here for the first time in well-researched detail, accompanied by an appendix which includes full facts and figures and a roll of honour naming every 78 Squadron airman killed, wounded or taken prisoner.